Brightline (soon to be Virgin Trains) released a monthly ridership report to investors, showing strong growth compared to the second quarter. 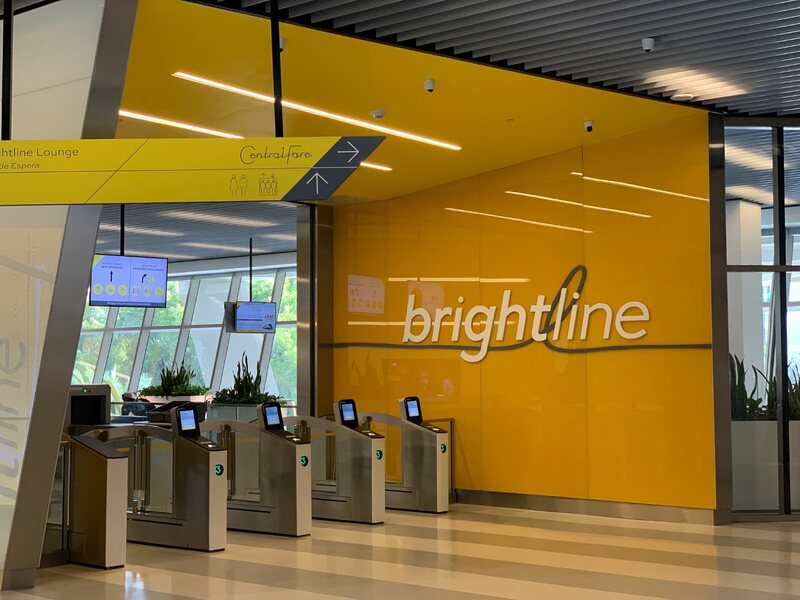 For the month ended October 31, 2018, Brightline carried 60,013 passengers and generated total revenue of approximately $1.0 million. That is much higher than the second quarter, when the company had 106,090 passengers and $1.5 million in revenue over a three month period (the Miami station was not yet open for part of that quarter). During October, there were close to 2,000 passengers using the service on average every day, equating to an annualized passenger count of around 720,000. Each passenger generated nearly $17 in revenue. Brightline is forecasting significant passenger growth every year over the first three years, after which passenger numbers will reach a stabilized number of 2.9 million annual passengers. In the first year, the company expected to achieve 39% of stabilized ridership (1.1 million passengers), with 79% in the second year. Credit agency Fitch analyzed multiple scenarios, and concluded that profitability was possible even if the company carried just 1.6 million riders when stabilized after four years. Bright (pardon the pun) news which the naysayers will doubt or dismiss. Can’t wait till the Orlando station opens. Good to hear. It will only get better once World Center, the Convention Center, and the leg to Orlando get built out. I’d prefer Virgin Rail if they insist on changing the name. But I agree Virgin Train is bleh. Overall great move! Considering the railroad built Florida, it shouldn’t be too hard. They’re going to need a bigger train.? Or a lot more of them. But, but, but… nobody takes it!!! Because… that’s what I saw one time with my own eyes …on a Tuesday …when raining! And because of some doubtful anecdotes I read online somewhere from people who cited no sources! Typed by people who don’t seem to actually use the Brightline. I do regularly. FACT: On November 7 the 2.13 p.m. train Miami to Palm Beach was sold out to the rafters so I had to buy First Class ticket. [Select Brightline call it] It certainly was: included unlimited Moet Chandon before in the lounge, on the platform and IN the carriage……wonderful bubbly trip!! My fellow Brit billionaire brain Sir Richard buying into Brightline is just his latest smart business move. Go Virgin Trains!! I just wish they could keep the name and branding of brightline. Much better than Virgin! And I dare say brightline has a better reputation for service based on what I’ve read about Virgin in the UK. Surprisingly I agree…Brightline’s sunny yellow look is so Florida. But Virgin needs to use its own distinctive branding to serve its purposes: These Virgin [ex-Brightline] trains will be carrying passengers down to Virgin’s new cruiseship, the Scarlet Lady, sailing 2020 from Port Miami. Major reasoning behind Branson’s move, am sure. Funny how all the comments are congratulatory… Do you have any idea how incredibly low $1mm in revenues is? Even with great margins this is still so incredibly low that I can’t comprehend how this big business can work. Some mom & pop shops make more than that… I’m not a “naysayer” and I’m actually a big fan of Brighline and see it as game changer for Florida. But I’m in finance and those numbers are so low I just don’t get how they could possibly achieve profitability with so many moving parts and so many people on their payroll. I’m specifically referring to the rail business and the numbers shown above. If they make a few more millions with their real estate investments that’s another thing. But I see people here cheering $1mm in revenues/month and I’m wondering, what’s to cheer about? Hundreds of individuals in Miami make more than that monthly. Sheesshhh, can it man. First, Brightline had to battle with nimby’s who didn’t want the train going through their territory. Second, Miami Central, the Brightline station in Miami just recently went into service and the entire structure is still under construction. Third, the Orlando station is still under construction and there’s no way you can factor that in yet. And fourth, Brightline hasn’t even been in service a year yet.. so chill out! All of that has nothing to do with revenues. Revenues mean sales, not earnings. So all the expenses you are mentioning are irrelevant. Even if they were to triple their revenues, as they are expecting to do in the next few years… where’s the money? Who’s making money with this business? With only $3mm in -possible- revenues per month, once you factor in all the costs and expenses, earnings must be very weak. Is there a single shareholder to this company? If there’s many, nobody is making money. Dude, you’re still talking from an unknown stance. I own three subway franchises and I did more than a million in revenue in October. A million in revenue is nothing to brag about. 2,000 trips a day is around 40% capacity of 10 trains a day carrying 240 passengers each. At some point they may have to ramp up to more frequent trains and more stations to attract more ridership. 3 stops on a 72 mile line leaves a lot of potential riders an additional commute away from a station. Also when thinking about profitablity, this is a very maintenance intensive business, so revenues are only part of the picture. Most rail travel in the US is heavily subsidized. Def should keep the name. Is it still profitable if it had to pay back all the federal grants? Good to hear they are selling out. I have not had the chance to ride yet, hope to do so soon. The last time I road a train on the Florida East Coast was back in 1962, The Champion to Washington DC. Now, when are we going to start to build to Orlando? The line to Orlando is under construction right now. Brightline had to first go through court proceedings before continuing. Were they ever able to sell their junk bonds? Get rid of the mandatory parking crap for developers…. Let drivers try to find curbside parking. Don’t put that burden on developers. A million dollars in revenue for a train! Wow! That;s fantastic!!! !